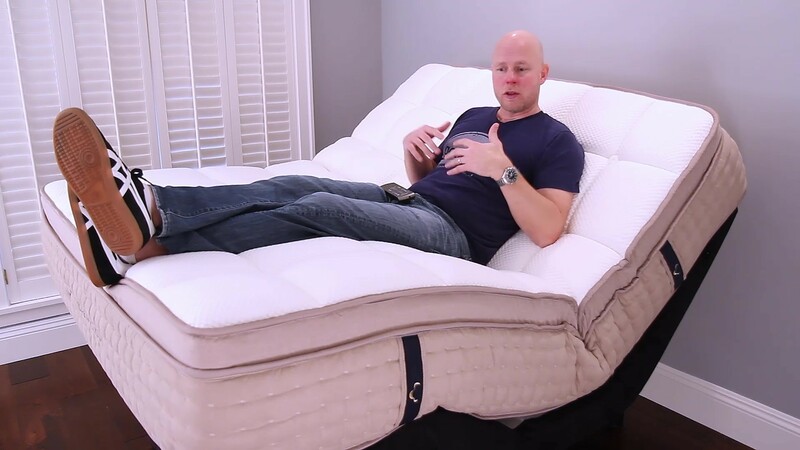 The DreamCloud mattress is a whopping 15 inches tall, with 8 layers of foam and steel springs. It's a lot of mattress, but does it suit your needs and priorities? Note: The DreamCloud mattress, sold exclusively online, is a huge mattress — a whopping 15 inches tall, with 8 layers of memory foam, polyurethane foam, pocketed coils springs, and a deluxe quilted pillowtop with functional tufting. It also comes with an unique 365-night trial period. Read our review to find out how the DreamCloud mattress stacks up in terms of support and functionality. If you’d prefer to watch rather than read, check out our full DreamCloud mattress video review above. GoodBed's Take – Who is the Best Match for a DreamCloud Mattress? The DreamCloud is a lot of mattress, measuring 15 inches tall with 8 layers of material. Throughout our evaluation, we were impressed with the quality of materials and build quality of this Chinese-made bed. Among other standout features: functional tufting that travels through the entire width of the mattress, holding layers together and preventing shifting. The top of the cover is made of a cashmere-polyester blend, and the sides of the mattress feature four sturdy handles. The company offers a 365-night trial, with full refund if you decide to return the mattress. By comparison, most online mattress companies offer 100 or 120 nights. Another note on construction: the DreamCloud website talks about several of the foam layers as 'memory foam' but when we took the mattress apart, only one layer (part of the quilted top) had what we would call memory foam properties. The rest appeared to be standard polyurethane foam. Although the DreamCloud mattress has a very cushioned and fluffy look, we class this mattress just to the firmer side of medium; we'll call it Medium Firm. Even with its heavily tufted cover and many layers, the feeling we got was more "floating on top" of the bed than sinking deeply into it. In terms of back support, we found the DreamCloud mattress to be very good to excellent in all sleeping positions. 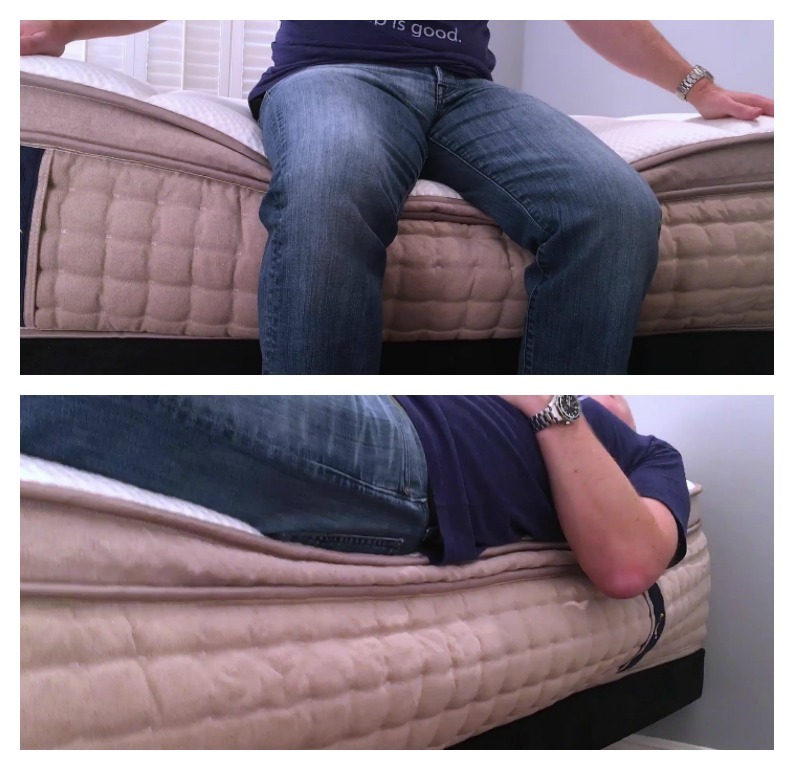 Our tester's hips sunk into the mattress deeply enough to create good spinal alignment. And we felt that most people would have a similar experience on this mattress, with the possible exception of those who are very light (under 150 or 125 pounds), who could possibly find the mattress too firm for them. But the real high point of this mattress is value; a mattress with this many high-quality materials, solid construction, and luxury touches would cost much more in a mattress store. And even when compared to its online peers, the DreamCloud bed stands out, particularly among very tall mattresses. If you want the sort of mattress you might find in a luxury hotel that's very tall and luxurious looking, we definitely think the DreamCloud mattress deserves consideration, especially if it meets all of your other needs and preferences. One potential issue we noted on our last visit to the DreamCloud website: some mattress sizes were listed as sold out. This mattress is manufactured in China, which means the company may not be able to respond or ramp up production to keep up with demand as well as American-manufactured mattresses. Clearly, the DreamCloud mattress has a LOT of layers, many of the just an inch or 1/2 inch thick. There's everything from memory foam, to latex, to polyurethane foam, to steel coils in there, all adding up to 15 inches, including a heavily tufted cover. Tufts (buttons that compress the top of a mattress) are something we see a lot as a decorative feature on mattresses, but in the case of the DreamCloud, the tufting is functional, traveling all the way through the bed to hold the layers together and prevent shifting. On the DreamCloud website, the company says that several of the foam layers are memory foam. However, when we opened up the mattress, we noted that most of the foam layers are standard polyurethane foam. There is a bit of memory foam quilted into the top cover. The eight layers of the DreamCloud mattress are encased in an extensive cover, with quilted side panels, four sturdy and functional handles, cording trim, and most notably a very heavily tufted pillow top that results in deep undulations. The top of the cover is a cashmere and polyester blend. We classify the DreamCloud mattress as a Medium Firm mattress, just on the firmer side of medium. Although to the eye, the mattress looks like you might sink very deeply into it, we experienced more of a feeling of buoyancy on top of the mattress. That's somewhat mitigated by the tufted cover, with deep puffs and channels, that create undulations on the cover. We did feel these while sleeping. If you prefer a mattress that's very smooth and flat on top, that could be a consideration for you. Again, although the mattress appears thick and squishy to the eye, we found cushioning depth to be shallower than average, imparting a more floaty feeling. This definitely is not a mattress that swallows you. Shallower cushioning depth also translates into good ease of movement (see repositioning below). Though the DreamCloud website mentions 'memory foam' extensively, we found only about half an inch of what we would call true memory foam in the bed. The rest of the foams appeared to be standard polyurethane foams of varying softness levels. As such, the DreamCloud features none of that slow-melting memory form sensation. Rather this bed springs back very quickly after being depressed. We also evaluated bounce, something that some people like and others don't. Due to that layer of pocketed coils in the base of the bed, there is some deep bounce. When our tester dropped his weight on the bed, the springs pushed him back in the air a couple of times. Overall, we thought the DreamCloud mattress offered very good support in most sleeping positions. And we felt that most people would have a similar experience on this mattress, with the possible exception of those on the very far extremes weight-wise. Our 200-pound tester felt this mattress to be exceptional while on his back, with almost ideal spinal alignment. Those who are very light (under 100 lbs) might find it a little too firm, that that would almost be a question of preference rather than support. Our tester felt nicely propped up on the bed, with noticeable lumbar support. Spinal alignment for our tester in the side position was also very good. Interesting, while the DreamCloud bed overall felt just to the firm side, it felt softer while lying on his side, according to our 200-lb. tester. He felt his hips and should sunk into the mattress enough to create good spinal alignment, but much lighter people might find that they don't sink deeply enough into the mattress. Achieving good spinal alignment for stomach sleepers can often be trickier as the hips can tend to sink down too far with some mattresses, but our tester felt well supported in this position. Lighter sleepers should also be just fine. However, people quite a bit heavier than our tester (over 250 lbs.) might have some issues in this position with hips that sink too much to retain good alignment. Overall, we found the pressure relief offered by the DreamCloud mattress to be very good, aided by the 5+ inches of foam that form the top layers of the bed. Our tester felt no issues with hot spots, and no indication that pressure points would become an issue. And we felt that even heavier people would experience similarly good pressure relief. One exception could be those who are very light (less than 150 or 125 pounds), and especially those who are both lighter and curvier (broad shouldered) who might not be heavy enough to depress the top layers of foam enough. With a bowling pin standing upright on the DreamCloud bed, we tested motion isolation by dropping a 16-lb. bowling ball on it, as well as the whole weight of our 200-lb. tester. With the bowling ball, the pin wiggled slightly but didn't fall. When our tester dropped his weight on the bed, however, the pin did fall. We tried this a few times; sometimes the pin feel and sometimes it didn't. Beds with springs aren't usually the best choice if motion isolation is a priority for you, but we felt that the DreamCloud mattress was better than most innerspring beds in this respect. We felt that the DreamCloud would be a good choice for those who don't want to feel a partner's movements, but if you are very sensitive to this or very easily disturbed, an all-foam bed is likely a better choice. If you tend to "sleep hot" this aspect may be a priority for you. 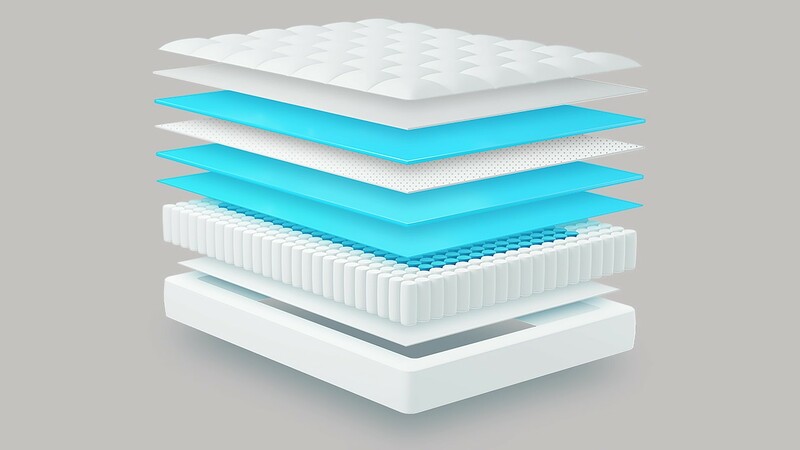 Innerspring mattress are usually a great choice for air flow and heat dissipation, but in the case of the DreamCloud bed, you have 5+ inches of foam on top of the pocketed coils. Even so, our tester didn't feel hot on this bed owing to its firmness; because you do not sink deeply into the bed, more of your body is exposed to the air, so overheating is less of a risk. Also, the deep channels in the mattress's cover allow for some air flow in our estimation. The DreamCloud mattress really excelled in our tests for edge support. If you find yourself often pushed to the very edge of your mattress, this could be a priority for you. Both sitting and laying on the edge, our tester felt stable and supported. The DreamCloud bed does have a foam perimeter all around the bed to assist with edge support. Ease of movement was good on the DreamCloud mattress according to our tester, owing to the firmness and shallower than average cushioning of the bed. The deep channels and puffs on the cover created by the mattress's tufting do interfere very slightly with the ability to roll and change sleeping position, but our tester did not find it bothersome. In the case of the DreamCloud mattress, this is not a natural mattress nor does it claim to be. However all of the foams used are certified to the CertiPUR-US standard, which verifies that a material has low VOC off-gassing as well as a lack of chemicals and other substances regulated by the CPSC. There is a 1/2 inch layer of natural latex in the bed, and steel springs do not offgas. When we first unpacked the mattress we did notice a "new mattress smell" that continued to dissipate over the days of our testing. 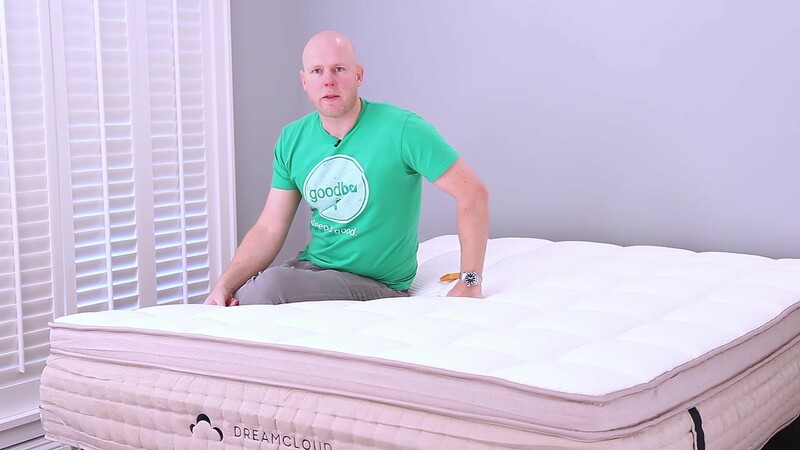 We tested the DreamCloud mattress on top of our adjustable base. This is a very tall mattress, and we were curious to see how it would bend and conform to the base. Note that the company says that using an adjustable base is perfectly fine. In fact the company sells its own adjustable base. In our tests, the mattress did not conform very well to the base when in its most elevated position. Especially when our tester was not sitting in it, the midsection of the mattress popped right up. However, we do think that over a break-in period, the mattress will eventually conform to the base. The DreamCloud is a 15-inch foam-over-pocketed coil mattress with some additional standout features, including a cashmere blend cover and functional tufting. It also has an unusual 365-night trial period (with full refund) and some addition warranty perks, including a free mattress cleaning upon request after a year of ownership, plus a 5-year "like new" refurbishing, also upon request. When it comes to estimating the comfort lifespan of a mattress, we tend to use foam density as our best, albeit imperfect, predictor of how long a foam will retain its shape and resiliency. But in the case of the DreamCloud bed, the lifetime warranty and 365-night trial/return policy give us the best assurance. If you want a hotel-style mattress that's very tall, with deep tufting and a luxurious-feeling cover, we feel the DreamCloud presents a very compelling value, especially compared to similar mattresses you might see in a luxury bedding shop or a department store, where such a mattress might cost three times more. It's also worth noting that sales and discounts (including GoodBed discounts) bring the total price quite a lot lower than list price on the company website, making it an even better value. This is a mattress you will not be able to try before you buy, but a very long trial period should provide peace of mind. Assuming the mattress meets your personal preferences and criteria, we do think it's one you should consider. DreamCloud includes free delivery, which is not particularly unusual among its competitors. A white-glove service is available at additional cost ($149) that includes in-room setup and removal of the packaging and of your old bedding (note that in some areas there is an additional charge for local disposal). One of the biggest, if not THE biggest complaints about any mattress from consumers regards body impressions — the inability of a mattress to spring back, eventually creating a low spot/sinkhole in the mattress. As such, mattress warranties all contain a term defining how big a sag or ‘body impression’ (measured when no one is on the mattress) is considered a defect, and thus covered under the warranty. The industry standard for mattresses is generally between ¾” and 1.5”. DreamCloud has chosen to cover indentations that meet or exceed 1.5”. Practically speaking, that means any softening or sagging would need to be at least that deep before the warranty would offer you protection. See: DreamCloud warranty policy. Summary: Is the DreamCloud Right for You? Overall, we found the DreamCloud mattress to be an excellent value for a bed with a luxury feel. Based on our findings, here’s who we think is the best and worst match for a DreamCloud mattress. Is the DreamCloud bed right for you? Take our Mattress Match Quiz to find mattresses that fit your needs, based on your preferences and price range. Looking for more on the DreamCloud mattress? Click here to visit their website at DreamCloud.com. Will the Cocoon mattress be your new happy place?